I was initially disappointed in this one, but the more I thought about it, the more I realized how much I enjoyed it. However, I realize after reflecting on the story, characters, and writing that I was completely wrong. Fanny is acting exactly how she was raised, to be respectful, kind, and acquiescing. The fact that Virginia is emboldened in both word and deed is eventually explained by Poe by explaining that she stayed as a child. 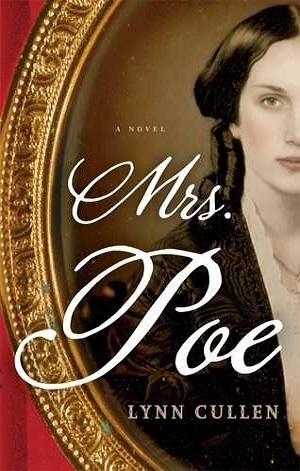 The tension between Poe and Fanny was evident, as was Virginia’s increasing awareness of their relationship. While I admit that I did want Fanny to be a little more free to allow herself these illicit feelings, the time and culture did not permit that she act on her feelings. Her concern for Virginia was yet another testament to her character. And speaking of characters! What a wonderfully colorful collection of REAL historical figures in this story! When historical fiction drives a reader to do more reading and research, there is no greater compliment to an author. I loved reading about Griswold’s penchant for hand adornments, Fuller’s growing friendship and trust with Fanny, Bartlett’s interest in Southern colloquialisms, and Ellet’s drive to ruin anyone who wronged her. The fact that these were real people has driven me straight to historical references to learn more. All-in-all, when my friend Kerri recommended this book to me, she did me a favor! 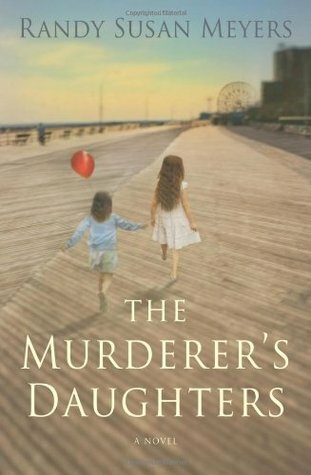 Lulu and Merry’s childhood was never ideal, but on the day before Lulu’s tenth birthday their father drives them into a nightmare. He’s always hungered for the love of the girl’s self-obsessed mother; after she throws him out, their troubles turn deadly. When your father kills your mother, tries to kill your younger sister, and himself, how does a 10-year-old girl handle the shock waves that reverberate through her life, especially now that she is all that her recovering sister has? Dad is in jail, in serious denial of what he has done to his daughters. Meanwhile, years go by while family members shun the “murder girls”, orphanage children torment them, and a wealthy family finally takes them in out of pity. It is an easy and compelling read, perfect for those afternoons by the pool. While it is a bit formulaic and predictable, it is not high art, and the story, characters, and conclusions were all satisfying. When Mahony returns to Mulderrig, a speck of a place on Ireland’s west coast, he brings only a photograph of his long-lost mother and a determination to do battle with the village’s lies. For a debut novel, this one hits it, if not out of the park, at least to the wall. The opening chapter is a combination of all of my favorite genres: mystery, action, magical realism, and fantasy. You see, there is a young mother with her child running from a murderous cad. She doesn’t make it, but the forest hides the child so the cad won’t find him. That’s right! The forest hides him! Fast forward thirty years, and he is back. With the help of some very interesting and colorful characters, as well as more than a few undesireables trying to thwart his efforts, he returns to Mulderrig to unearth the truth. Oh, and did I mention that he sees dead people? Thanks to NetGalley for this copy in exchange for my honest review. Published in October 2016, the book is available through Canongate Books. Near an isolated mansion lies a beautiful garden. 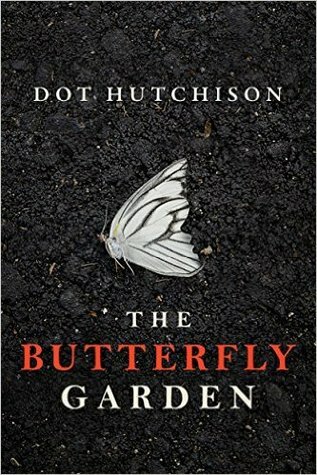 In this garden grow luscious flowers, shady trees…and a collection of precious “butterflies”—young women who have been kidnapped and intricately tattooed to resemble their namesakes. Overseeing it all is the Gardener, a brutal, twisted man obsessed with capturing and preserving his lovely specimens. When the garden is discovered, a survivor is brought in for questioning. FBI agents Victor Hanoverian and Brandon Eddison are tasked with piecing together one of the most stomach-churning cases of their careers. But the girl, known only as Maya, proves to be a puzzle herself. As her story twists and turns, slowly shedding light on life in the Butterfly Garden, Maya reveals old grudges, new saviors, and horrific tales of a man who’d go to any length to hold beauty captive. But the more she shares, the more the agents have to wonder what she’s still hiding. As investigators delve gently into the experiences of Maya in what is known as The Butterfly Garden, a picture of a nirvana prison emerges. The Gardner is gentle and benevolent toward his perfect “butterflies”, as long as each does as he asks. Unfortunately, his son Avery is not as gentle. At this point, it is worth note that there are numerous rapes and some torture scenes, but they are not overly described, and I did not find them outside the realm of the nature of the story. Told in a narrative of flashbacks, investigators are not sure what role Maya played in the structure of this hellish Eden. She seems different from the others who were rescued, and they seem to turn to her as a mother figure. As her history emerges, woven in and out of her descriptions of her years at The Garden, a tragic, lonely, and eventually hardened young lady is born. A very fast-paced and compelling thriller, I was hooked until almost the end. Without spoiling anything, the introduction of a surprise “guest” of The Garden at the end was both confusing and unnecessary. The story would have been purer, simpler, and scarier without this manufactured twist from the author. With this, this novel cannot be awarded a full 5 looks. A passionate film buff, our hero’s life revolves around his part-time job at a video store, the company of a few precious friends, and a daily routine that more often than not concludes with pizza and movie in his treasured small space in Stockholm. 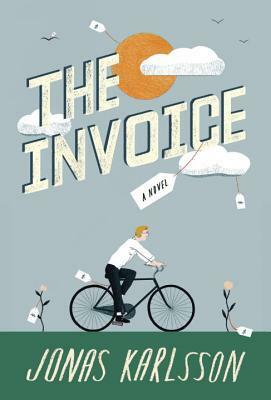 When he receives an astronomical invoice from a random national bureaucratic agency, everything will tumble into madness as he calls the hotline night and day to find out why he is the recipient of the largest bill in the entire country. As is my usual, if I read a book in one sitting, it automatically gets 4 looks. This book was such a treat! An extraordinary premise, to be invoiced for the experiences you’ve had in life (“You didn’t think it was all for free, did you?”), this was unlike any other book I’ve read. Much like Karlsson’s previous novel, The Room, this story is unique, eccentric, sweet, and totally believable … as long as you suspend belief. And that is the way of the story. The protagonist, what is his name… how can I not have realized that we never learn his name?? I know his childhood, his great love, moments that he treasures, his favorite scene in his favorite movie … but never his name. The genius of Karlsson’s writing is so subtle and subversive, it could knock a sphere on edge. This is, I think, a book that you will either love or hate. I wanted a little more, and I wanted to better explore the path that this was all a hoax. Those are the reasons for my review of 4 instead of a 5. All the same, I very definitely fall in the former category of feeling. Highly recommended. 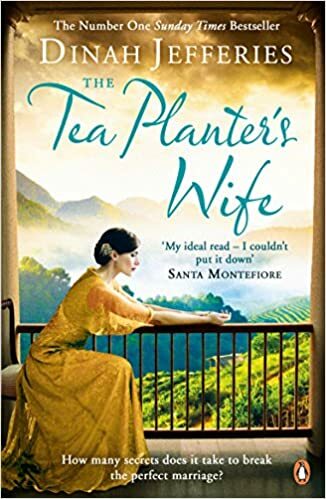 Nineteen-year-old Gwendolyn Hooper is newly married to a rich and charming widower, eager to join him on his tea plantation, determined to be the perfect wife and mother. But life in Ceylon is not what Gwen expected. The plantation workers are resentful, the neighbors treacherous. And there are clues to the past – a dusty trunk of dresses, an overgrown gravestone in the grounds – that her husband refuses to discuss. Just as Gwen finds her feet, disaster strikes. She faces a terrible choice, hiding the truth from almost everyone, but a secret this big can’t stay buried forever. I was riveted by this story. I read several books at a time, and I found myself thinking about this book as I was reading another. I can think of no higher compliment to this author. Gwen is a lovely protagonist. We are cheering for her, shouting advice, and mourning when she is bereft. I love how she develops and grows in the story, and the perfect combination of backbone and forgiveness she extends. Her husband, Laurence, is an affable character, and deals well with her as a new, young bride compared with also being his second wife. Periphery characters add additional spice to the story, and are completely believable and enjoyable. The tumult of Ceylon under British rule plays out on the outskirts, but touches the family throughout the story. A bit of an epic, we see the Stock Market crash in New York, prohibition, changes in fashion, and mixed-race marriages. There are so many wonderful nuances to the story, and it is wholly satisfying in the end. I recommend this and look forward to reading more by Jefferies. Thanks to NetGalley for providing a copy of this book in exchange for my honest review. When I found out that this story was told backwards, I was immediately interested! There have been books with flashbacks, books with the end told at the beginning, and so on, but this book is literally told backwards. I LOVED that about the storytelling! Miranda’s writing is good, as well. Characters were believable and well-fleshed out. 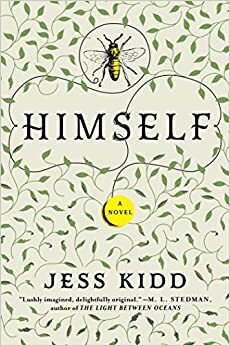 The protagonist’s relationship with her father and her brother felt extremely real, and her other various relationships were well-suited to the story. The only thing I would change here is the title of the book. While I am loathe to voice a problem without a possible suggestion to change, I cannot think of another title that would reflect the jewel that this book is. 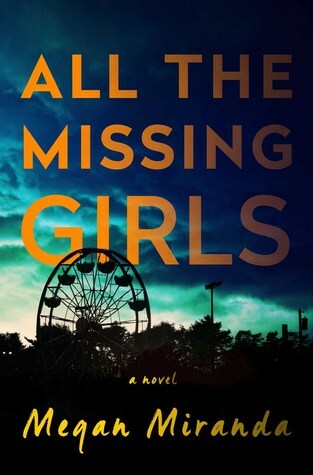 “All the Missing Girls” is milquetoast compared to the pages between the covers. Something that would grab your eyes from the bookstore shelf. Something that would make your breath stop until you picked it up to read the back summary. I have thought and thought, with nothing coming to mind. Regardless, pick this one up, suggest it for your book club, and pass it to your friends. It is worth every minute. Thank you to NetGalley for a prerelease of this book in exchange of my honest review.